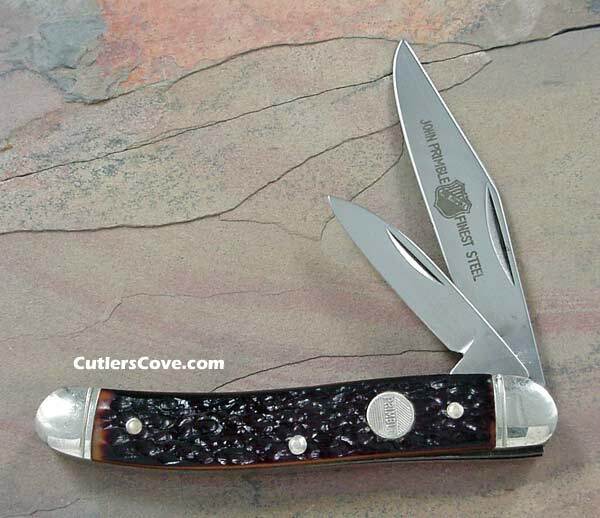 John Primble Belknap two blade premium jack with imitation bone handle that is near mint. 4984 Pattern. 3-1/2” closed. Nickel silver bolsters. It has not been sharpened. Made in the USA.